Published on 26 February 2012. 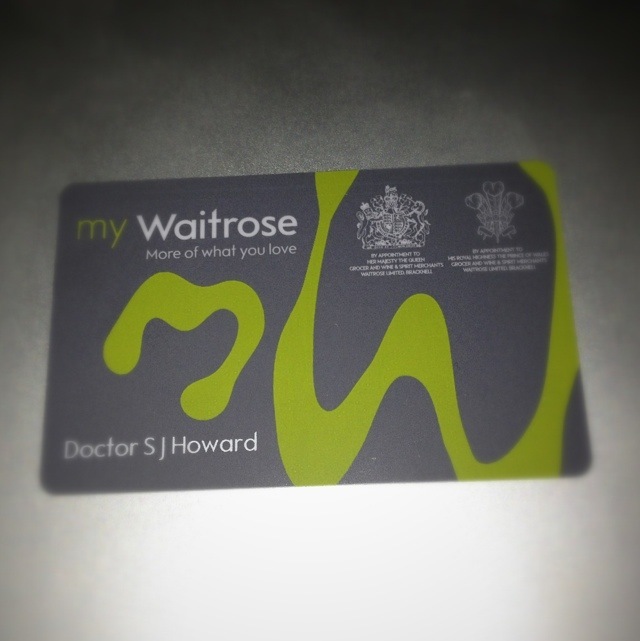 Waitrose sent this card to me a few weeks ago, yet I really don’t understand what its point is. The literature that accompanied it told me that I should scan it each time I shop (aka volunteering my data), but didn’t explain what I could expect in return, beyond vague statements like “more of what you love”. Even having been on their website, I still don’t understand how it’s supposed to benefit me. And beyond that, given the infrequency with which I shop at Waitrose, I don’t really understand why I got it in the first instance. It’s really not the kind of transparent communication I expect from the John Lewis Partnership. It’s the least well explained “loyalty” scheme I’ve ever encountered, and since I don’t understand what I’m exchanging my data for, the card won’t be jumping into my wallet just yet! This 1,542nd post was filed under: Photo-a-day 2012, John Lewis Partnership, Retail, Waitrose. Comment posted at 22:11 on 31st March 2012.